In the study, researchers analyzed information collected from more than 25,000 adults ages 18 to 79, and more than 9,700 children ages 6 to 17, who took part in a yearly U.S. national health survey conducted between 2001 and 2010. The participants were asked whether they had been diagnosed with asthma or experienced wheezing (a symptom of asthma) in the past year. The participants also had a test to determine the level of vitamin D in their blood. Overall, of the study participants, 68 percent of the children and 70 percent of the adults had levels of vitamin D that were lower than what’s usually considered adequate for healthy people (30 nanograms per milliliter), which is known as vitamin D insufficiency. 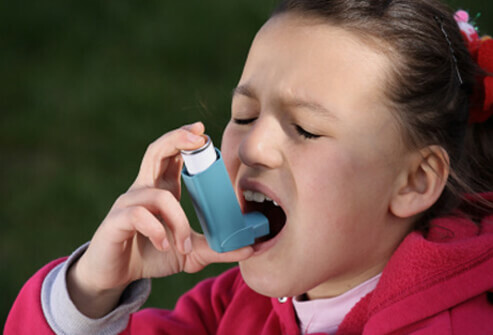 In addition, about 1,200 children and 1,800 adults had been diagnosed with asthma. The disease involves inflammation and a narrowing of the airways, both of which make it difficult to breathe.